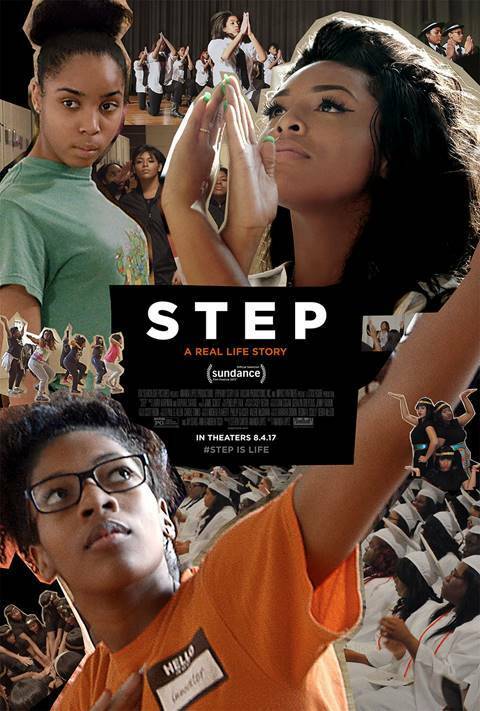 STEP chronicles the senior year of a girls' high-school step dance team against the background of inner-city Baltimore. These young women find a unity through their team that pushes them to challenge themselves on and off the stage. Empowered by their teachers, teammates, counselors, coaches and families, they chase their ultimate dreams: to win a step championship and to be accepted into college. This all female school is reshaping the futures of its students' lives by making it their goal to have every member of their senior class accepted to and graduate from college, many of whom will be the first in their family to do so. Emotionally inspiring, STEP embodies the true meaning of sisterhood through a story of courageous young women worth cheering for.